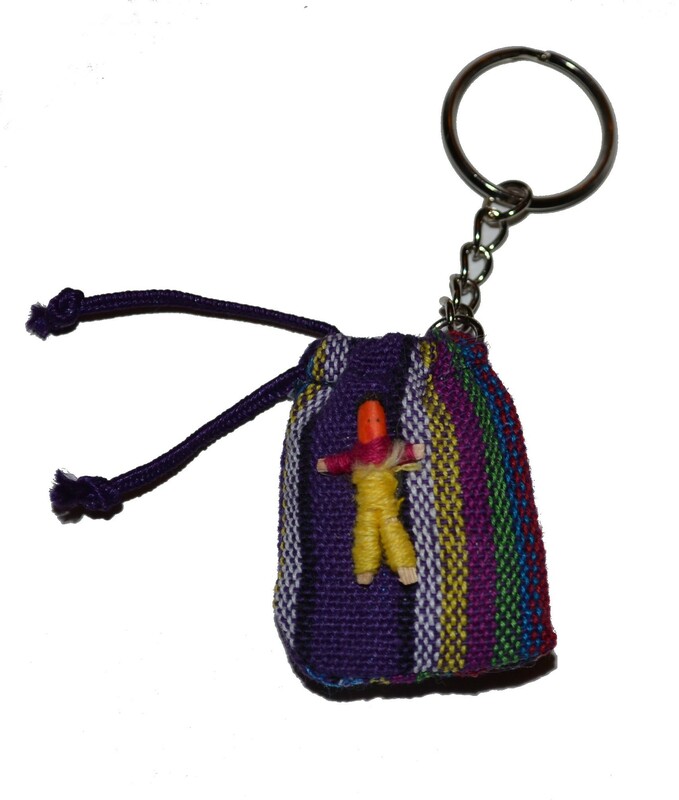 Beautiful little guatemalan worry people keyring, lots of bright colours, Tell these little people your worries and trust that they will take your worries and fears away. 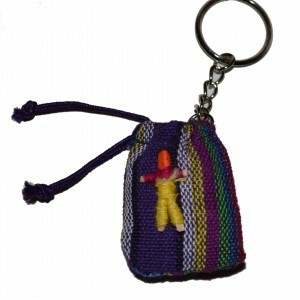 If you don’t want to loose your keys use this amulet. Handmade by the mala indian people.